Observation wells can be added to the numerical model as described below. 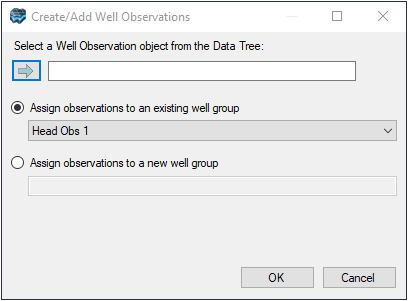 First, import the observation well data as described in the Import Wells section. 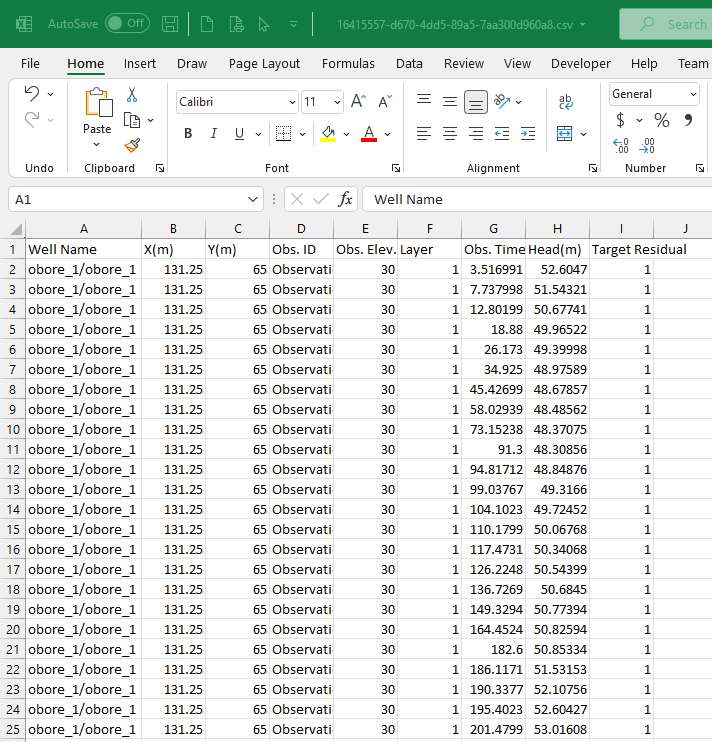 The raw observation well data can be viewed/edited in the Data Table section. 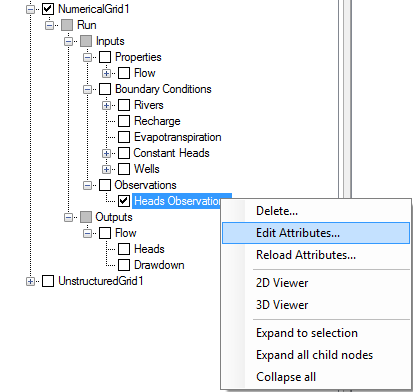 Once you have the head observation data object imported, navigate to the Define Observations step in the numerical model workflow. Below the toolbox, you will see the insert blue arrow; select your Observation Wells data object from the data explorer and click on the button. The observation wells should then appear in the 2D view and will also appear as a new node on the numerical model tree on the Model Explorer. Please Note: If you add Observations that are defined in Absolute times, and those times are before the model start date defined in the modeling objectives, then you will receive a warning message during creation. These head/concentration observations cannot be included in the numerical model and will be filtered out. Please Note: the Layer number for the observation point is calculated based on the Obs. Elev; changing the layer number will not change the vertical location of the observation point.